Asked in order to provide the answer. In the LXQt desktop (installed on top of Kubuntu 18.04) I use a bluetooth speaker with a laptop which has volume keys that only control the internal speakers. 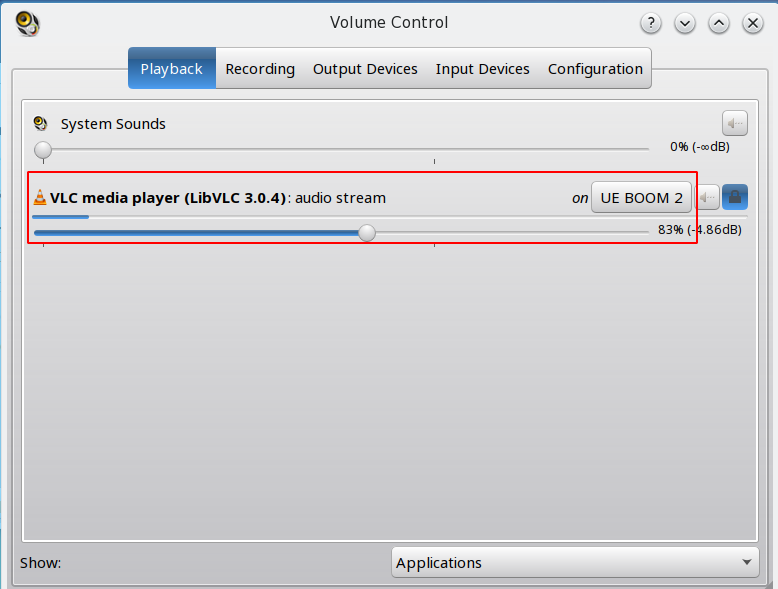 The volume panel applet does the same. 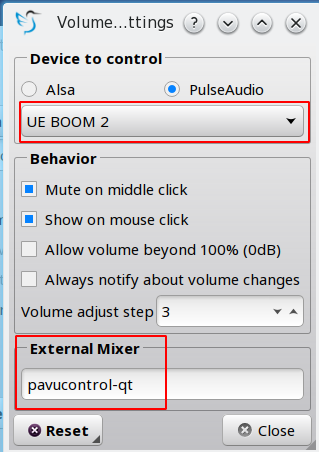 I can only modify/mute the external speaker's volume with pavucontrol. Is it possible to control bluetooth speaker volume with keyboard and/or a panel button? In fact the default volume widget can control bluetooth speakers: on that, see the last part of the answer. 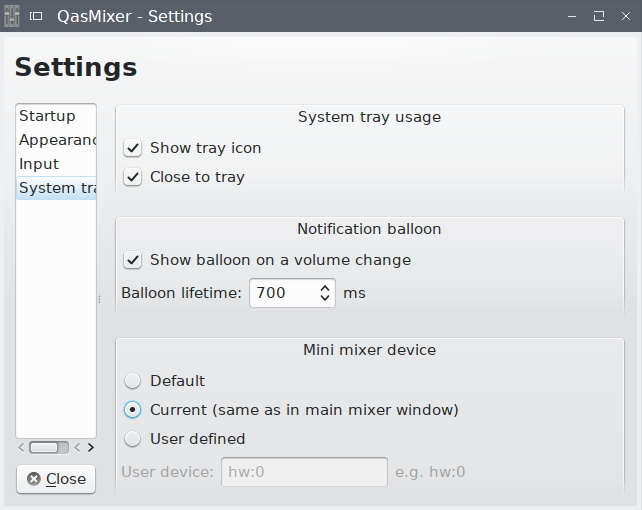 For a panel/tray button, install qasmixer. In Debian, Ubuntu: sudo apt install qasmixer. To have it in system tray, go to File-Settings-System tray and, in case the tray icon doesn't appear, un-check then check again the "Show tray icon" option. 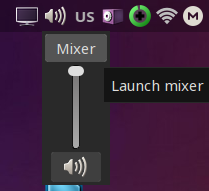 Be sure to check also Mini mixer device - Current so that the tray icon actions like mouse scroll act upon the desired device. Normally it will control volume of all kind of speakers. In case it stops controlling the bluetooth speaker(s), check File-Settings-Startup and View-Show device selection-Mixer device. 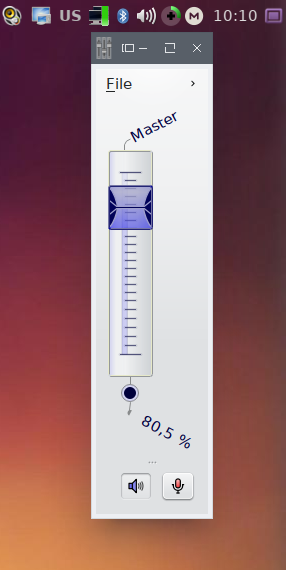 There, you can switch between the internal or other speakers controlled by the widget. In the same window you can set the external mixer that will be used below. Normally that is pavucontrol-qt, but there is also qasmixer. 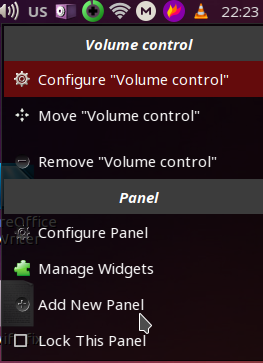 Left click the panel widget and select "Mixer"
The mixer allows to change the bluetooth speaker volume.